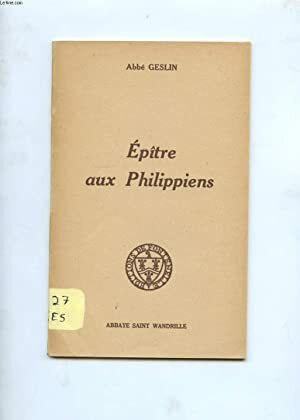 Home ABBE GESLIN EPITRES AUX PHILIPPIENS. DANS LE CHRIST C'EST LA JOIE! EPITRES AUX PHILIPPIENS. DANS LE CHRIST C'EST LA JOIE!